It's time to look back and summarize what I've done in 2015! This year has been wonderful! 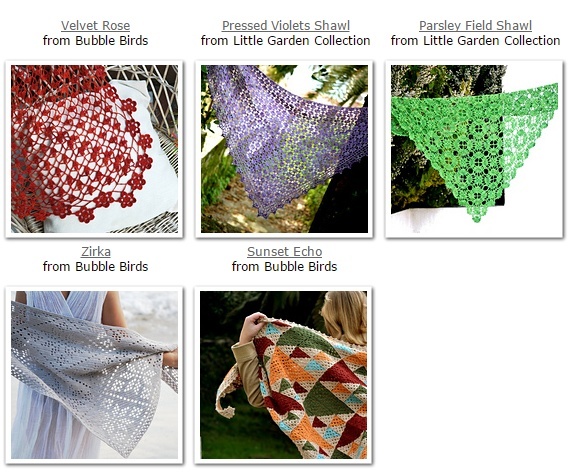 I completed and published five crocheted shawls: the airy Velvet Rose, the lace-weight Parsley Field made of motifs, and the lacy Pressed Violets, based on the filet crochet technique. The colorful Sunset Echo is worked in granny quilt technique and the last one, Zirka, is worked in the classic filet technique. Two summer tops in yummy fruit colors made of crochet motifs brightened my summer! I started a new Tunisian crochet collection (entrelac), Mental Vacation, and continued working on another one, In the Shell. Introvert's collection (shell motifs). 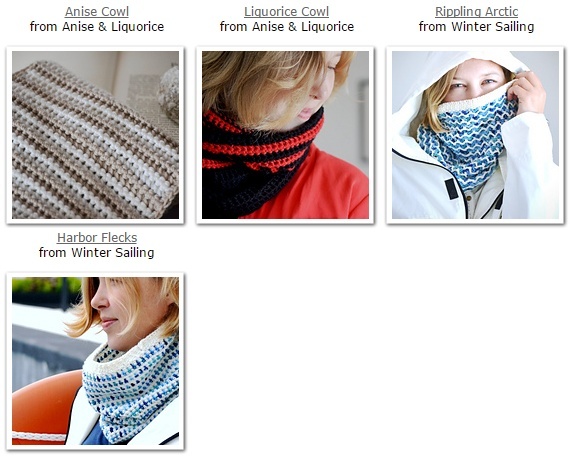 Two patterns have been added to each collection. 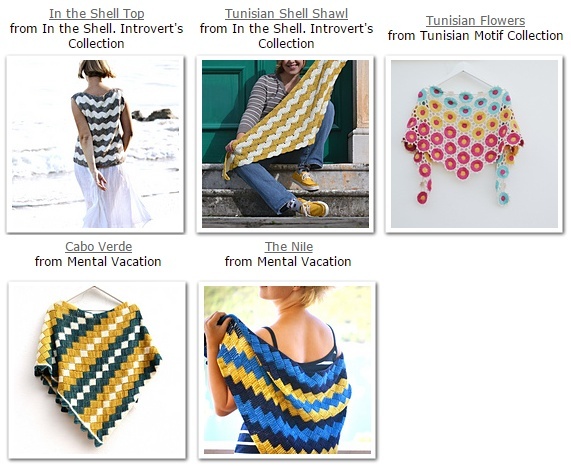 I was also fascinated with possibilities of Tunisian crochet and the idea of crocheting motifs with this technique. The result is my Tunisian Flowers shawl pattern. 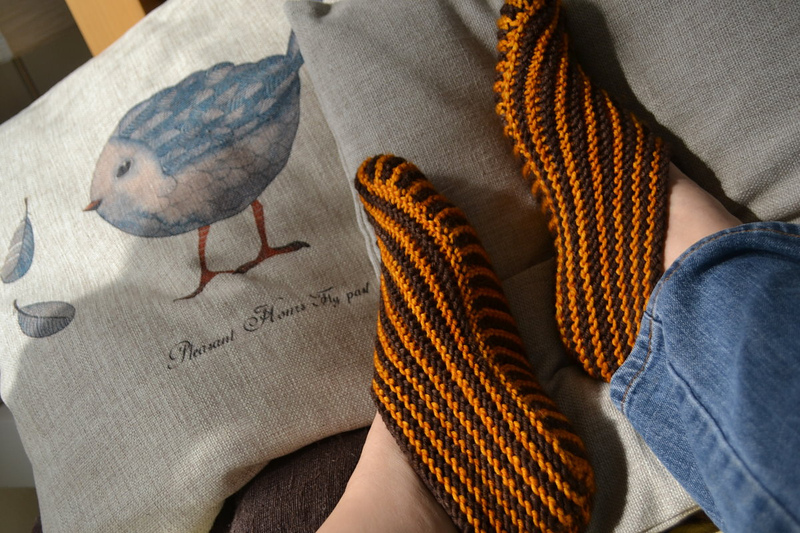 An old pattern of mine, knitted Bosnian Slippers, has been re-written, tech edited and published again this year too (and I am wearing them right now!). Have a wonderful, comfy, warm and cheerful New Year! Happy crocheting! Lovely work! Looking forward to what is coming in the New Year! What a lovely year of wearable pieces. Thank you for sharing your work.